Brito Amadiz was before the court for a misdemeanor of 2014 when he was accused of damaging the glass of another person’s motor vehicle. Before Senior Magistrate Ms Tamia N. Richards, the proceeding went as usual in any case where the allegations were read to the accused and he was asked to plea which he did – Not Guilty. 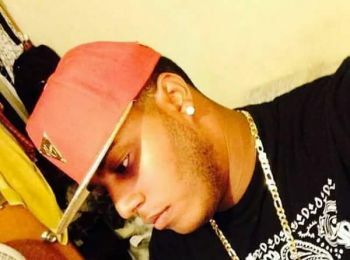 It was alleged that on Christmas Day 2014, the virtual complainant, Kelvin Robin, was outside Melanie’s Bar in Fat Hog’s Bay, East End, when the accused, who was allegedly in another nearby bar, came of where he was, took a bottle out of a garbage bin, walked across to Melanie’s Bar and pelted it, hitting a glass area of Robin’s vehicle. On December 31, 2014 the accused denied the allegations when he was interviewed by police. As Ms Richards turned her attention of the matter of bail for the accused, she noted that there were several occasions when the matter was called in court and Brito Amadiz was not present. He argued that he did show up on those occasions but were told that the matter was not on the court list and as such he left. This was after a warrant was issued for him due to his absence when the matter was called early in 2015. He told the court on Friday that he could not remember the name of the person who told him that his name was not on the list and after valiant efforts to get the man to prove to the court that he was telling the truth, Senior Magistrate Richards told him he would have to draw a picture of the man to which he responded he was not good at that. Richards told the defendant that she did not believe that he ever did show up as there is a process to be followed if one shows up and is told that his or her name is not of the list. She told him that he had breached his bail agreement by being absent from court and as such his surety would have to pay the court $5000 as stipulated in the bail arrangements. How much name this man gah? That long name is a spanish thing. Mothers last, fathers last, yours, your middle, grandma and grandpa name all in one. Well done magistrate Richards. I would like you to send a strong message to all the Bad John and let them know the law must be respected. Send a message to all the youths and let them know that if they do not change their behaviours the court will deal with them harshly. Good work magistrate Tamia. So unjust....So unfair....OMG. Strupes..That's crazy. this is why the country broke! The system is broke and nobody want to admit it. Let 100 more like him get caught up and see what happens.... If people decide to stop following the order of a BROKEN system and its injustices you cant send them all to jail. It cost money every time there is a hearing in court. There was a case in the UK where businessmen were settling their disputes in the UK. The case was filed for the cost of 1670 pounds, however as it is a common practice, the case was drawn out for 285 days which ended up costing UK tax payers 612 million pounds. I want to know what kind of retarded cases my taxes are fueling here in the BVI. Lawyers and others entities don't show up in court for 2 and 3 sessions and she will never charge them.